This Earl Grey tea is curated by blending the finest black teas from India with the natural oil of bergamot fruit, a pear shaped sour orange originally found in Italy. The dry leaf is delightfully fragrant and offers a burst of aroma. The tea is characteristic of a bright liquoring cup of tea. The fruity and fragrant citrus flavour of this tea makes for a great iced tea. 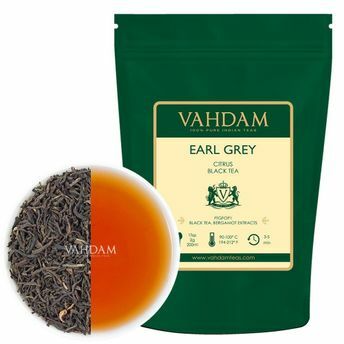 Extremely flavoury and distinctly subtle, an excellent take on the original blend.